As of 5 January I am the mother of two children in school. Where does the time go?! I’m in a state of shock. How quickly they grow. It seems like just yesterday they were born. 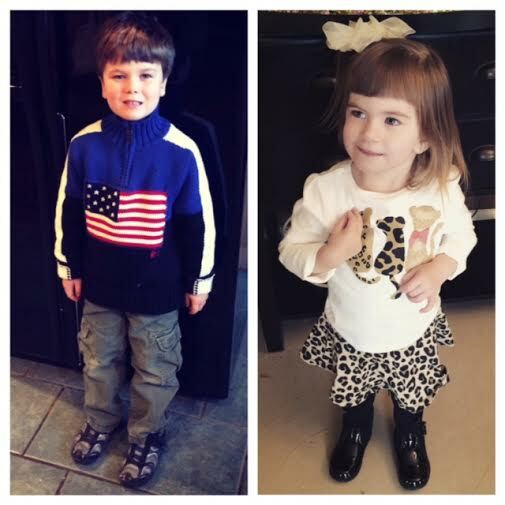 Yet last Tuesday Adam resumed his second semester of first grade at Riverdale Elementary and Tatum began her first day of preschool at Collierville Baptist. The boy child attends school daily from 8am-3pm. The girl child goes Tuesdays and Thursdays from 8:30am-2:30pm. My kids go to school! Adam seemed largely apathetic to the whole process. School alleviates the inevitable winter break boredom but but it also removes him from television and tablet the creature comforts of home. Tatum, conversely, could not wait. My baby girl woke up on Christmas morning asking if she could go to school. For months on end she’s been inquiring as to enrollment– and now she’s finally amongst the preschoolers. There’s nothing she wants more than to be a student, lugging in her backpack and learning lessons. This entry was posted in Adam, Changes, Motherhood, Tatum and tagged Christmas, Collierville, Collierville Baptist, Germantown, Riverdale Elementary, School. Bookmark the permalink.